"The SAD-BJP government has unleashed a wave of reforms in the state which have acted as a catalyst for further development on the index of progress & prosperity." Disclosing this while addressing a huge gathering on the inauguration of new District Administrative Complex (DAC) constructed at a cost of Rs. 110.57 crore, the Deputy Chief Minister said that the reforms undertaken by the SAD-BJP Government have changed people's lives for the better as now they can avail 249 citizen centric services under one roof at 389 sewa kendars in urban areas whereas the rural areas would also see these kendars being commencing operations shortly which would take the number of sewa kendars to around 3000. He also said that such progressive agenda has only been pursued and policies implemented by SAD-BJP government under the leadership of Chief Minister, S. Parkash Singh Badal.Coming to the emergence of Mohali as the hub of all things developmental , the Deputy Chief Minister said that the International Airport at Mohali would witness the grand spectacle of starting of international flights from 15th September which would give further boost to trade and commerce in the region. Divulging more, S. Badal said that in the coming 5 years Rs. 2500 crore would be spent on the overall development of Mohali which is already on the road to become economic hub of Punjab through Edu city, I.T. city, Medi city and the advent of Infosys. Elaborating more, he said that earlier Mohali used to be ranked third in the tricity but with these feathers in its cap, Mohali has become number one in the entire tricity. 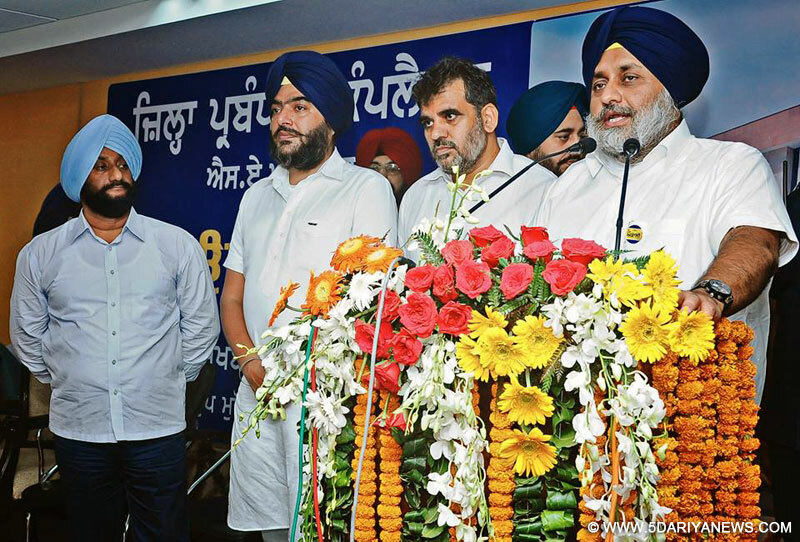 Touching the aspect of road infrastructure, the Deputy Chief Minister said that the work on Chandigarh-Ludhiana 6 lane road and Ropar-Jalandhar road would begin soon.He also reiterated that SAD-BJP government would always continue to strive for the betterment and welfare of the people of Punjab as part of its holy committment with them.Among others present on the occasion were Education Minister Punjab Dr. Daljit Singh Cheema, Derabassi MLA N.K. Sharma, Media Advisor to the Deputy Chief Minister- Jangveer Singh, Mohali Mayor Kulwant Singh, SAD leader Harsukhinder Singh Bubby Badal, Deputy Commissioner Daljit Singh Mangat, SSP G.P.S. Bhullar and others.